Nothing ruins the perfect proposal quite like hating the engagement ring your partner’s picked out. 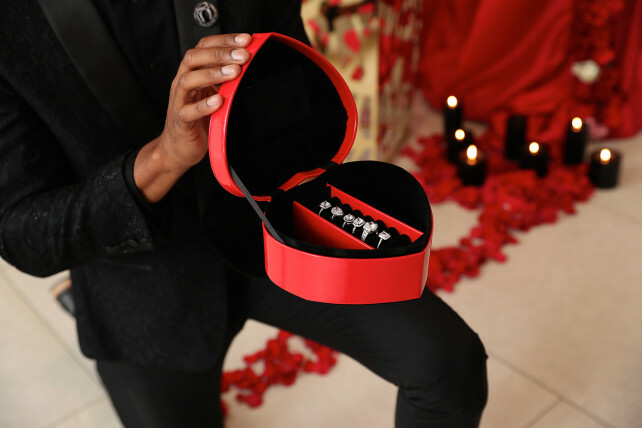 And one man decided to cover all his bases by proposing with six different diamond sparklers — so his bride-to-be could pick her favorite. 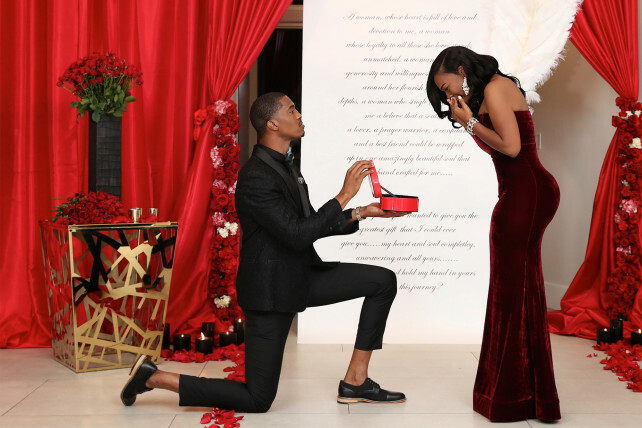 Dennis Brown II, a model, and fitness enthusiast hired an event planner, stylist, photographer, florist, and clothing designer – to make sure everything went swimmingly when he popped the question. Dennis also printed an enormous banner, on which he wrote: “Today, on your special day I had the pleasure of putting a smile on your face all day. “A woman who single-handedly made me believe that a soulmate, a lover, a prayer warrior, a confidant, and a best friend could be wrapped up in one amazingly beautiful soul that was handcrafted for me.